This family home, in the Meyerland area, underwent an intensive redesigning in order to bring life back to a flood prone, low use, outdoor space. An overall regrading and drainage channel system was installed to mitigate the storm water flows that threatened the house. The addition of a new deck gathering space and fire pit lounge bring to life a new outdoor courtyard room for the family. A dynamic Texas natives garden and new aesthetic centerpieces in key locations highlight the architecture of the home. 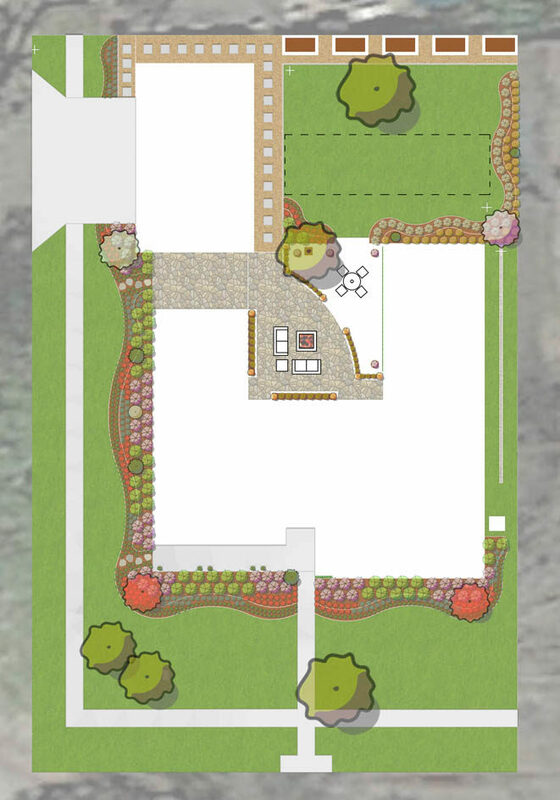 The planting design is allergy sensitive and provides seasonal color throughout the year. In addition, an argyle lattice structure was designed to grow a vertical green wall element in complement to the brick texture within the courtyard. While preserving the necessary lawn space for the family dogs, vegetable planters and an easily collapsible batting cage for the enjoyment of the family’s children bring new use to the whole property.